Today, with most of our "sales" team at Salt we looked over our NPS scores, on an individual basis. As a business, we are fairly new to the NPS scenario and this is, in all honesty, the first time I have dissected my scores. Generally, I was in a healthy place, Mostly good feedback and the majority of people I dealt with were promoters. Something I think I work hard to achieve and appreciate (well you know, haters gonna hate). We are of course in a sales environment, in what is a competitive job, so being liked, respected and trusted is something I rely upon. Within the mix of people from around the world I have worked with, there were, of course, a couple of people who were not impressed with the experience they had been given. Some I could understand and get to the bottom of (justify in my head) and some I don’t think necessarily knew the way NPS works. Anyhow, it left me thinking about how I can improve what I do from an outside-in perspective and what specifically I need to change and adapt to make the experience I give better to both sides of the picture dealing with clients and candidates as a recruiter. We don’t always get it right and there are usually some candidates that don’t get the job or don’t progress. Sometimes the recruiter takes the blame for this (bad prep, not sharing enough information, bad qualification etc) and sometimes it’s actually just down to candidates not performing well, not having the right skill set or cultural fit, or sometimes just not coming across well during an interview. It was, however, one particular comment that stuck in my mind and actually left me slightly perplexed. It was along the lines of saying that Salt are a stereotypical recruitment company and focused on the client, not the candidate (some may say, well they are paying us, but this is a narrow-minded reaction). My first reaction was ouch, then I was a little angry, then I came to terms with the fact that this person had received in their minds an unsatisfactory experience. I don’t do this job to be the same as everyone else, nor to be average. I like to think that I always give a great experience to everyone I deal with, certainly in the majority of cases. However, in reality, I know that you cannot please everyone all the time so to those that feel I have let them down or underdelivered in any way, I am sorry. It may not necessarily be something in my control that caused or causes an issue but I guess it’s down to me to try to manage everyone, whether it's expectations or damage limitation. This is the case across all industries, not just recruitment. For example, In a world of hyper-adoption – and hyper-abandonment – successful retailing in 2018 comes down to obsessing about your customer’s experience. It’s a tall order: Digital and physical touchpoints now must work together flawlessly – yet also do what each touchpoint does best on its own. Organizations must remove silo shackles to unify disparate data to develop deep customer insights. Artificial Intelligence (AI) will become real for retail. In 2018, retailers will grab AI by the proverbial horns. How? Prescriptive analytics will finally overtake predictive analytics, sweeping away any opening for decisions based on opinion, instinct, and intuition (none of which can possibly keep up with rapidly evolving technology and customers). And the tsunami wave of voice-activated devices shipping to consumers in 2018 will change how they shop and the brands they choose – though not overnight. We will learn from faster movers, and focus initial efforts where AI will have the best initial impact, such as simple structured questions that customers ask frequently. 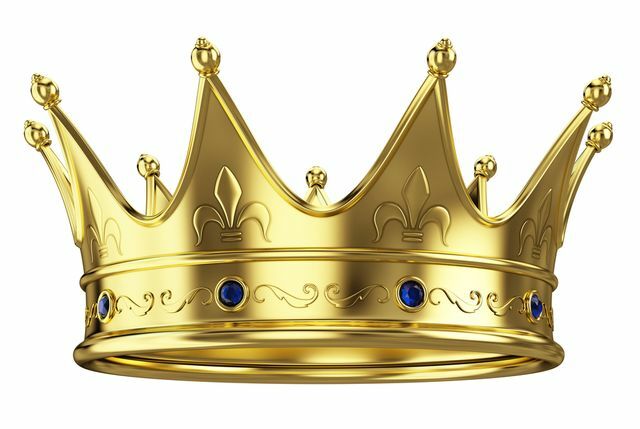 The part I, we as a business and pretty much anyone that sells a product or service have to get our heads around is do we think “customer is king” which is true if you want to spend your time chasing customers, or should we believe “product is king” if you want to make them wait in line? As their awe-some product goes viral and starts scaling, great businesses obstinately refuse to dilute their proposition in the pursuit of rapid growth or profit, rather preferring to expand supply at their own pace. This often results in a real or perceived scarcity that adds to the aura of exclusivity and uncompromising quality that surrounds the product. Harvard could treble their enrolment whenever they wanted to, but they refuse to dilute their brand. The best law firms, clubs and luxury products routinely forgo profits to keep their branded exclusivity. Even the small sweet shop where I learnt this lesson did not expand outlets or add new chefs to make a quick buck.